Born: 3 January 1849, Cape Town, South Africa. Died: 9 September 1929, Johannesburg, South Africa. David Draper was the son of the gardener Thomas Draper* and his second wife Eleanor (born Loxton, former married name Roach). He spent most of his youth in Colesberg, leaving at the age of eighteen to serve as a volunteer in the war between the Orange Free State and the Basutos. In 1868 he proceeded to the newly discovered alluvial diamond fields along the Vaal and Orange rivers and later to the diggings at Kimberley. Here his interest in geology started to develop. From the diamond fields he moved to the gold fields at Lydenburg and at Barberton (where gold was discovered in 1884). Following his experience with the problems of gold recovery he was granted patent No. 9 of 1884 for "separating gold from quartz or earth, etc., withouth the application of water". Thereafter he studied the coal deposits of Natal and contributed to the expansion of the coal industry there by convincing the Natal Government Railways to use local coal. Around this time he met many of the leading geologists of the day, such as A.G. Bain*, W.G. Atherstone*, P.C. Sutherland*, G.W. Stow*, and E.J. Dunn*. He accompanied Stow on some of his field excursions and must have benefitted greatly from the geological insights of such a careful observer. During his time in Natal he participated in the establishment of the first factory in South Africa to produce wool cloth, the Victoria Woolen Cloth Factory, at Newcastle. However, the business went into liquidation in 1896. After the discovery of gold on the Witwatersrand in 1886 he moved to Johannesburg where he took up geology as his profession, though (like Bain, Atherstone and others) he had received no formal training in the subject. During 1890 Draper guided G.A. Molengraaff* during the latter's geological explorations in the western Transvaal. At some time in the early 1890s he became the first South African born person to be elected a fellow of the Geological Society of London. His first paper, "Notes on the geology of south-eastern Africa" dealt mainly with the Karoo strata of KwaZulu-Natal, southern Mpumalanga, the eastern Free State, Swaziland and Lesotho, and appeared in the Quaterly Journal of the Geological Society of London in 1894. This paper was followed by two further contributions to the same journal. The first of these dealt briefly with "The occurrence of dolomite in South Africa" (1894), in which he confidently linked up all the dolomites of southern Africa, from Oudtshoorn to the Zambezi, as of the same nature and age. The other paper, "The marble beds of Natal" (1895), dealt with the first commercially useful marble deposit found in South Africa (described by C.L. Griesbach in 1871) and its relationship to surrounding strata. Towards the end of 1894 the Chamber of Mines commissioned Draper to map a geological section from Vereeniging, across the central Witwatersrand, to the norite hills north of Pretoria (Pyramids). This seems to have been the first extensive and detailed geological mapping undertaken in the South African Republic (Transvaal). The section, with a display of the rocks encountered, aroused considerable interest and has proved to be substantially correct. At this time Draper and others felt the need for a geological society in Johannesburg. Though a South African Geological Society had existed in Grahamstown a few years earlier, with vice-presidents in several southern African territories, it had ceased to function. Furthermore, the mining community on the Witwatersrand was greatly interested in the geology of the gold deposits, particularly the continuity of the gold-bearing reefs to the east and west and their correlation in different mines. These interests would be well served by a forum for the exchange of geological knowledge. Largely owing to Draper's enthusiasm the Geological Society of South Africa was founded in Johannesburg on 4 February 1895. He served as its first honorary secretary and treasurer, and as the first honorary editor of its Transactions, to 1901. He also presented the first paper (after H. Exton's* inaugural address) before the society, on 13 May 1895, dealing with "The primary systems of South Africa with special reference to the conglomerate beds of the Witwatersrand" (Transactions, Vol. 1, pp. 12-26). This paper contained a description, classification and correlation of the pre-Karoo geological strata, and led to lengthy discussions. During the next five years Draper contributed more than 20 papers, notes and comments on papers to the society's Transactions, in addition to other scientific and popular publications. The first of these dealt with "The Dwyka conglomerate" (1896, Vol. 1, pp. 90-105). He did not support a glacial origin for it at this time - an error soon afterwards put right by Molengraaff. Also in 1896 his Geological map of the districts of Klerksdorp, Potchefstroom and Krugersdorp was published in London. He read an important paper in February that year, dealing with the continuity and correlation of the gold reefs, "The extension of the Main Reef westward of the farm Witpoortje" (Transactions, Vol. 2, pp. 5-14). This was followed in May by a paper "On the connection between the conglomerate beds of the Witwatersrand and those situated in the districts of Potchefstroom and Klerksdorp" (Vol. 2, pp. 47-51), which drew the keen attention of mining men and financiers. In 1897 he published a paper "On the occurrence of Sigillaria, Glossopteris, and other plant remains in the triassic rocks of South Africa" in the Quaterly Journal of the Geological Society of London, followed by "Notes on Vertebraria and Glossopteris" in the Transactions of the Geological Society of South Africa (Vol. 3, p. 48). These papers recorded glossopterid assemblages from five locations in the Ecca Group along the northern margin of the Karoo basin. The plants were described by A.C. Seward* the same year. In 1898 his paper "A ramble through the geology of southern Africa" (Transactions of the Geological Society of South Africa, Vol. 3, pp. 19-30, 34-44) contained the first detailed account of the denudation of southern Africa by three principal river systems, namely those of the Orange, Limpopo, and coastal rivers of the Cape and Natal. In the same year, with M.E. Frames* as co-author, he published The diamond: A pamphlet describing the most reliable indications and the principal minerals associated with the diamond in South Africa. Also in 1898 he discovered a rich source of underground water at Zuurbekom, south-west of Johannesburg, which was of great value in relieving the city's chronic water shortages and allowing its further expansion. His find was described in "Notes on the Zuurbekom basin as a source of water supply for Johannesburg" (Transactions, 1898-1899, Vol. 4, pp. 11-15). In 1897 Draper induced the Chamber of Mines to donate their collection of minerals to the Geological Society of South Africa. It formed the nucleus of the Johannesburg geological museum. Draper was a citizen of the South African Republic and served in one of the Boer commandoes that captured Dr. L.S. Jameson in January 1896, ending the latter's attempted invasion of the Republic. During the Anglo-Boer War (1899-1902) he served for a time as an ambulance officer on the western border of the Free State, where he was captured by the British but soon released on parole. In 1901 he went to Borneo, where he assisted his eldest son, Thomas Draper with geological work on the oil fields. After a short stay in Turkey he returned to South Africa soon after the end of the war and participated in geological work and prospecting for tin in the central Transvaal. 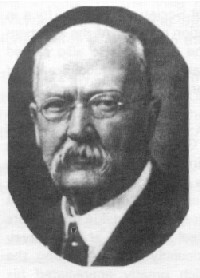 In 1905 his contributions to South African geology were recognised by his election as the first South African honorary life member of the Geolocial Society of South Africa. Soon thereafter he left for Europe and then went to Brazil, where he spent many years investigating its diamond deposits and working as manager of a diamond mine. During these years he continued to publish papers and pamphlets on various topics in South African geology. Returning to South Africa in 1923, already in his mid-seventies, Draper's interest turned to the history of industrial endeavours in which he had played a role, leading to several publications. For example, "The history of the Johannesburg water supply" (Mining and Industrial Magazine of Southern Africa, 1925, Vol. 1, pp. 9-12), followed in the same issue by "The birth of the Natal coal industry" (pp. 151-152). The last and most important of these historical studies was a comprehensive account of "The birth of the diamond industry in South Africa", including a valuable review of the early history of Kimberley, which was published in a series of 19 short articles in the South African Mining and Engineering Journal (1929-1930, Vol. 40). He was awarded an honorary Doctor of Science (DSc) degree by the University of the Witwatersrand in 1928. "Resourceful and blessed by good health and an excellent memory, Draper was a most entertaining and informative person" (Du Toit, 1945, p. vii). His valuable contributions to South African geology and the founding of the Geological Society of South Africa were recognised after his death by the institution in 1932 of the Draper Memorial Medal, awarded annually to a member of the society for exceptional contributions to geological science, with particular reference to the advancement of South African geology. It is the society's highest scientific award. Draper was married to his cousin Elizabeth (Betsy) Loxton, who died in 1908. They had five sons, three of which chose geology or mining as their profession. A manuscript containing his reminiscences to 1918 is in the Strange Collection of the Johannesburg Public Library. Anderson, J.M. & Anderson, H.M. Palaeoflora of southern Africa (p. 68). Rotterdam: Balkema, 1985. Anhaeusser, C.R. (ed.) A century of geological endeavour in southern Africa, 1895-1995 (pp. 13, 20, 23-25). Geological Society of South Africa, 1997. Corstorphine, G.S. Presidential address: The history of stratigraphical investigation in South Africa. Report of the South African Association for the Advancement of Science, Johannesburg, 1904, pp. 145-181. Du Toit, A.L. Some reminiscences. Transactions of the Geological Society of South Africa, 1945, Vol. 48, pp. vi-x. Geological Society of South Africa. Proceedings, 1915, Vol. 18, p. xiii-xix and 1920, Vol. 23, p. xii-xvi: Past secretaries and Lists of members; Transactions, 1895-1904, Vol. 1-7. Hall, A.L. A bibliography of South African geology.... Pretoria: Geological Survey, Memoirs No. 18 (1922), 25 (1927), and 27 (1931). Harger, H.S. David Draper, DSc. Transactions of the Geological Society of South Africa, 1930, Vol. 33, pp. 19-30. Harger, H.S. Historical notes on the Geological Society of South Africa. Proceedings of the Geological Society of South Africa, 1939, Vol. 42, pp. lxvii-lxxv. Harger, H.S. The early history of the Geological Society of South Africa. Transactions of the Geological Society of South Africa, 1945, Vol. 48, pp. i-iv. Mining and Industrial Magazine of Southern Africa, 1925, Vol. 1, pp. 9-12, 151-152: papers by Draper. Munro, Sue (great-granddaughter). Personal communication, November 2015, February 1917. National Automated Archival Information Retrieval System (NAAIRS). http://www.national.archives.gov.za/naairs.htm Documents relating to Draper, David. Rogers, A.W. The pioneers of South African geology and their work. Transactions of the Geological Society of South Africa, 1937, Annexure to Vol. 39. South African Mining and Engineering Journal, 1929-1930, Vol. 40, No. 1976-2000: Paper by Draper.